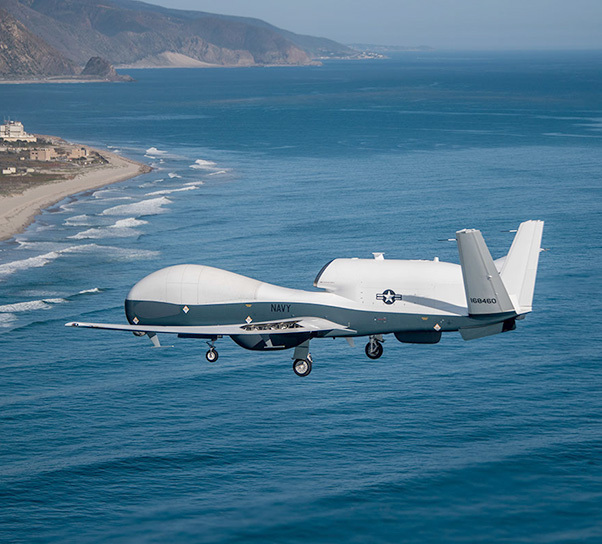 The Australian Department of Defence officially announced its plan June 26, 2018 to purchase the Northrop Grumman-built Triton aircraft system, further cementing the company’s commitment to a longstanding U.S. ally. 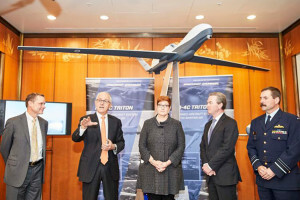 An unmanned aircraft system with an autonomous capability built for maritime intelligence, surveillance and reconnaissance, Triton is the first Northrop Grumman-built aircraft system Australia has purchased. The system will be operated by the Royal Australian Air Force. 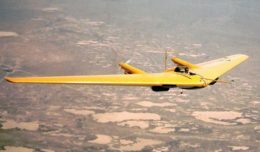 Triton can fly at altitudes of 55,000 feet for 24 hours at a time and is equipped with sensors that provide high-resolution imagery and near real-time video. Pilots and sensor operators fly the Triton from ground stations, which can command flights all over the world. 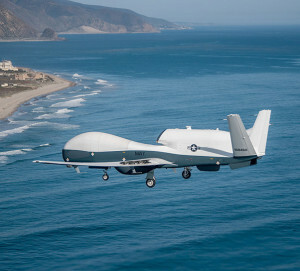 Triton builds on Northrop Grumman’s legacy of success in autonomous systems. The U.S. Navy recently acquired two operational Triton aircraft and is under contract for six more. These aircraft will go to Guam later this year and provide the Navy with an unprecedented common operating picture of the maritime environment. Triton can detect, classify and track ships over large swaths of ocean and littorals. The U.S. Navy program of record is for 68 aircraft. Northrop Grumman has been building its presence Down Under for many years. The global aerospace and technology company will be the anchor tenant of an AUD $50 million Electronic Sustainment Centre of Excellence, to be established at the Badgerys Creek Airport precinct in western Sydney. The new centre will support advanced electronics such as communications and electronic warfare equipment, and targeting pods. Northrop Grumman will bring together highly skilled technicians, engineers and other professionals whose work will be further supported by the company’s high-end technology and software expertise. 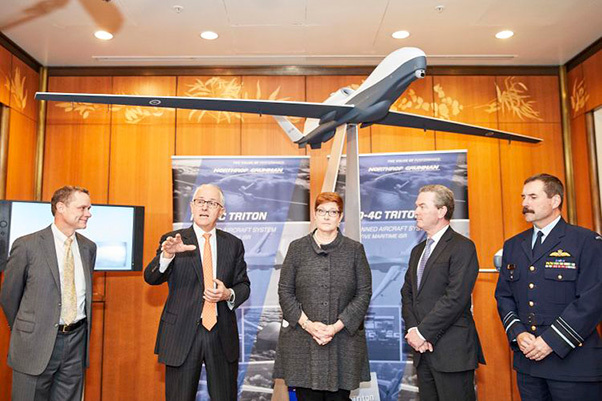 From left: Northrop Grumman Chairman and CEO Wes Bush, Prime Minister of Australia Malcolm Turnbull, Australian Minister for Defence Marise Payne, Australian Minister for Defence Industry Christopher Pyne and Australia’s Chief of Air Force Air Marshal Leo Davies AO, CSC. Through a Global Supply Chain Deed signed with the Australian Department of Defence in 2011 and renewed in 2017, Northrop Grumman is identifying opportunities for Australian industry to be part of the company’s global supply chain. For example, Northrop Grumman’s largest Australian F-35 Lightning II joint strike fighter supplier, Quickstep Technologies, demonstrated that its new production facility is equipped and qualified to manufacture and deliver quality composite parts for the F-35’s centre fuselage. At a new facility opened in Bankstown, Sydney, in 2012, Quickstep is expected to manufacture over 36,000 parts for the F-35. Northrop Grumman also works with CEA Technologies, one of Australia’s leading military electronic systems and radar companies, and Electro Optics Systems, which develops products incorporating advanced electro-optic technologies for the global aerospace market.